Our "platform" is our base product, and includes the features and functionality shared by all our customers, such as the Reports menu. Changes to our platform affect everyone, regardless of the product lines or modules you subscribe to. On the Assets tab in Assets, on the Management menu, we added two new fields to your asset profiles: IMO and MMSI. For resources, you'll find the new fields on the Resources tab in Ships, on the Setup menu. NoteIf you were previously using custom fields to track IMO and MMSI numbers and have any questions about these new fields, please contact your account manager. All subscribers can now use a pre-configured link to an AIS tracking system to quickly locate their assets from within Helm CONNECT. In addition, Helm CONNECT Jobs subscribers can also locate ships and resources. This feature makes use of the new IMO field on the Assets tab in Assets, on the Management menu. By entering a valid IMO number in that field, you will enable the new Vessel Tracking button on that asset's card on the Asset tab. For more about this new feature, take a look at our AIS Integration in Helm CONNECT article. 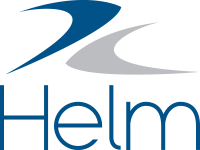 NoteBy default, Helm CONNECT is configured to use the IMO field, and integrates seamlessly with a custom tracking system provided by ShipTracks, our preferred vendor. If you have questions about this configuration or about using the MMSI field instead, please contact your account manager. In People, on the Management menu, we added a new icon to the Employment Details section that allows you to expand or collapse a person's positions. When the list is collapsed, you'll still the person's current positions, which are those that either haven't yet reached their end dates or that have no end dates at all. When you use global search (Alt + g), you can now include special characters such as "*" or "&". Once you select any of these data sources for your report, you'll see the new filters in the Filter On list. Previously, you couldn't run a report if any custom fields in that report contained an item that had been deleted. Now you can. We made the following changes to Helm CONNECT Maintenance and Helm CONNECT Compliance with this release. For more about these new features, take a look at our Manage your overdue checklists and forms article. We made several enhancements to simplify the way we handle due dates and put you in control of your overdue maintenance and compliance items. Previously, when you based the schedule for a maintenance, inspection, inventory, or form template on an effective date, it was hard to tell when the first copy was due. Now, when you build a new template, the system calculates all missed copies of the template that occurred since the effective date. For example, if today is July 24 and you publish a new daily inspection template with an effective date of July 1, the system will immediately calculate all the missed inspections since July 1. If you don't want all those missed inspections to stack up, simply choose an effective date that's the same as or closer to the current date. Keep in mind that you'll still see only the earliest or most overdue item in your To Do list, but trust us, the other ones are there! You now have the option to complete overdue maintenance routines, inspections, inventory counts, or forms. Let's say it's July, and one of your monthly inspections wasn't completed in June. Previously, if you tried to finish the overdue inspection from June, you'd actually be finishing the July inspection. This was confusing and meant there was no record of the June inspection in history. Now, if you perform that monthly inspection and click Finish Now, you can choose the June inspection that you missed. Note This feature only applies to checklists and forms with schedules based on the effective date, not on the last completed date. If you have to miss some regular maintenance or compliance work—perhaps for a dry dock or some downtime—you now have the option to omit the overdue items. To keep you in compliance, each omitted item stays in history with the reason it wasn't completed. You'll find the new Omit button above your checklists beside the Finish Now button. Note This feature only applies to checklists and forms with schedules based on the effective date, not on the last completed date. You'll only see the Omit button for checklists that can be omitted. To restrict some of the approval sections on your forms so they can only be completed by specific types of users, you can now assign a role to each of those approval sections. For example, you could have an approval section that can only be completed by a port captain. Take advantage of this feature on the Forms tab in Templates, on the Setup menu, when you build or edit a form. For more about this new feature, take a look at our Assign approval roles to your forms article. Note This is an optional feature. If you already had forms with approval sections prior to version 1.10, and you'd like to assign roles to any of them, you can simply edit them on the Forms tab in Templates, on the Setup menu. Corrective actions are now optional for observations made during an audit, although they are still required for findings. For any of you with a growing list of items in your forms library, you'll be happy to hear that you can now collapse the In Progress, Awaiting Approval, and Library sections on the Library tab in Forms, on the Compliance menu. Simply use the new arrow icon beside each section's name to collapse or expand that section. The system will remember your settings if you leave the Library tab or log out of Helm CONNECT. In Templates, on the Setup menu, we increased the limit for the Instruction fields to 2500 characters. We now allow you to enter numbers of up to nine digits when completing inventory counts. To improve performance and make our template library more consistent, we removed the automatic save feature from our two oldest template types: inspections and maintenance templates. If you're working on an inspection or maintenance template, you now have to click Save Draft if you want to save your changes without publishing them. Previously, if you built an inspection template with an approval section that used the same space as the space selected in the template header, you could fill in the inspection checklist and do the approval in one step. Now, you need to finish the checklist and re-open it to do the approval. The inspection will be waiting in the Awaiting Approval section in Onboard > Logs. This brings our inspection approvals in line with our forms approvals process. Some users with large numbers of documents were experiencing performance issues when they tried to display the Document Control tab in Documents, on the Compliance menu. To address the issue, we removed the Installations column from this tab. However, you can still see whether or not someone using an asset installation has received or acknowledged a specific document by selecting the document from the list, then clicking the Asset icon in the upper right of the tab. The Now button allows you to quickly enter the current date and time. You can use this new button when you add a new event or activity, as well as in the dispatch and billing screens throughout Helm CONNECT Jobs. Just hover near the top of the calendar to display the new button, which is hidden by default. When viewing an individual company on the Company tab in Sales. When viewing an individual ship on the Ship tab in Ships. When viewing an individual resources on the Resources tab in Ships. The header fields on the Activity Types tab in Events, on the Setup menu. The Archive and Save as Template fields in the Edit Order form. We removed the Tariff Defaults button from the Tariffs tab in Tariffs, on the Jobs menu, and created a new Tariff Defaults tab in Invoicing, on the Setup menu. If you had permission to use the Tariff Defaults button, you'll automatically have permission to this new tab. You can now assign separate permissions for each of the tabs in Invoicing, on the Setup menu. You can assign these permissions on the Role tab in Users, on the Setup menu. If you have read-only permission for tariffs, you'll now be able to view them correctly. When adding a bulk order, you'll now be able to see the same fields you configured for a single order, although you still won't be able to add job-level fields from this window. You can now change the invoice style, if necessary, after you've generated a draft invoice. A new horizontal scroll bar on the Trips tab in Dispatch allows you to comfortably view large amounts of information. You can now attach notes and documents to an order throughout its life cycle, from order to invoice. To learn more about Payroll and all the other changes we made to Helm CONNECT Personnel with this release, or to book a demo, please contact your account manager.